Why do we want to improve Warden? 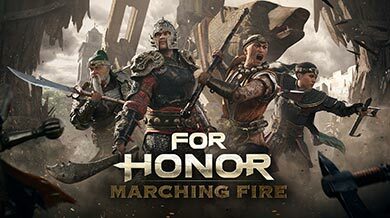 Warden is intentionally a character built to appeal to new players through an accessible moveset - however, we want Warden players to be able to wield the Warden successfully at the highest level of mastery as well. We find that Warden gameplay currently generally over-relies on Top Light and Zone Attack, while we want Warden to use the entirety of the moveset. Also, the Shoulder Bash / Guard Break mix-up only works well against opponents who don’t roll away. We want to ensure that the pressure Warden forces with Shoulder Bash is sufficiently threatening. Warden, before the update, had a very difficult time applying pressure against opponents who rolled away. The advice when fighting a Warden has often been “just roll” – as it shut down both the Shoulder Bash and the Guard Break. With this Season 7 Update, we are introducing a new attack for the Warden to combat roll: Valiant Breakthrough. It is a Heavy, so allows Executions, and also chains into Warden’s Heavy Finishers for an improved flow into combat. Shoulder Bash, before the update, could be avoided by rolling. With the introduction of Valiant Breakthrough, this is no longer the case. However, Shoulder Bash still had difficulty hitting opponents on its own. We wanted the quick version and the charged version to both be threatening options, but generally only the quick version and direct cancel into Guard Break were used. With this Season 7 Update, we’ve given Shoulder Bash much better tracking, so an opponent who attempts to dodge the quick version will be hit by a fully charged Shoulder Bash. We’ve also allowed Warden to cancel the Shoulder Bash much later into the charge. In exchange, we have also removed the ability for Warden to go straight into a Guard Break from the Shoulder Bash charge. The direct connection was no longer necessary – because the new timings of Shoulder Bash let Warden have an answer for every potential reaction of the opponent. 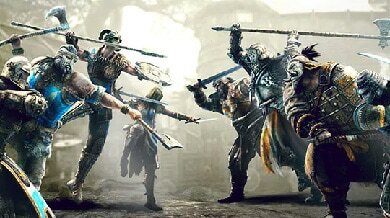 We like that this will mean Warden will be a bit cleaner when showing Unblockable/Guard Break icons through the Shoulder Bash, but we want to stress that Warden’s quick and charged versions will now force a similar situation on the opponent as Warden used to do with Shoulder Bash / Guard Break. Warden, before the update, relied too much on Top Light and Zone Attack to initiate. With this Season 7 Update, we increase the Side Lights to 500ms (from 600ms), and reduce the damage. The intention here is to make Warden slightly less predictable. Before the update, Warden also didn’t launch the Heavy Finishers enough. 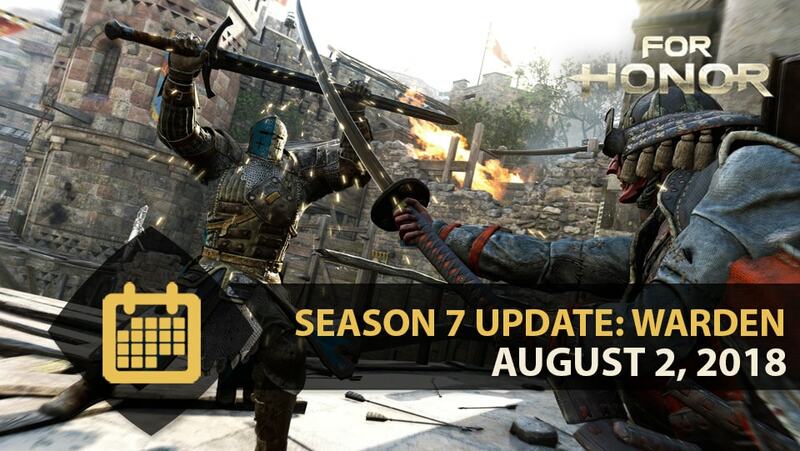 With this Season 7 Update, we allow Warden to reach the Heavy Finishers directly from Zone Attack, Valiant Breakthrough and Rushing Slash. This should mean Warden can sustain offense a bit more fluidly. We’ve also made the Top Heavy Finisher now Unblockable. This should give a Warden a threatening option to launch after hitting those other openers. With these new branchings into the Heavy Finishers, and Unblockable property, we hope to help Warden get into the fight and deal damage in ways other than using Shoulder Bash. We have also updated the Valkyrie in our Season 7 patch. Read up on those changes here!